Our irrigation department designs, installs and maintains irrigation systems. This department's certified and highly trained technicians provide you exceptional service to ensure uniform and effective water distribution for your valuable landscaping. Water is the key to preserving your property's lushness and beauty. Our irrigation experts carefully design your system to ensure maximum coverage and effectiveness. Whether you are looking for a brand new irrigation system to maintain your lawn or the replacement of a sprinkler head in your current system, our experts are one phone-call away. 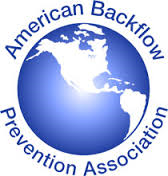 We are a certified Irrigation Contractor with the Irrigation Association and we staff a certified Backflow Prevention Technician with the American Backflow Prevention Association. Our technicians have extensive experience in all phases of irrigation and we strive to be the best at what we do. Our employees log more than 2000 hours a year with ongoing training and industry certifications. Don't miss out on monthly specials, events, and more!